Team Jefferson Starship reviewed this attraction on October 14, 2017. Fletcher’s Farm is a small town haunt with a lot of heart. 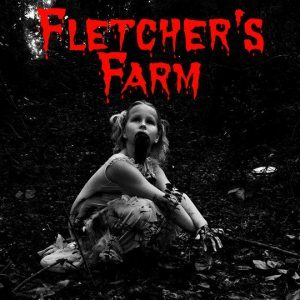 Situated outside of Hartsville, South Carolina, Fletcher’s Farm has been running for the past ten years, bringing scares and screams to visitors who come from miles around. The Farm is a somewhat traditional experience, but the Fletcher’s crew work to bring in new things as often as possible. Plan to spend an evening down on the farm and bring along some friends. Some of the scenes at Fletcher’s are very full of actors who loom out, bang on the walls, thrash, and scream. There are more than a few looming and menacing figures as well. It winds up being a motley collection of different scenes and with the work put in to change things up every year, you never quite know what to expect. The clowns this year were on point – we’ll be mentioning them and their scene repeatedly, I’m sure. Also, we have to give a shout out to a pair of actors in one of the earlier scenes. There’s a mad doctor going at a patient with a drill, really working that thing into a prosthetic – enough that you’re certain he’s just working with a prop. Spoiler – she’s not a prop! These two have their timing and routine and effects down pat and deliver a shocking result that really works great. Fletcher’s Farm is an all volunteer haunt; as such, costuming is done on a limited budget. Bloody scrubs, torn and splattered jeans, and a few warm flannels against the night’s chill are the order of the day. The dim lighting scattered in parts of the haunt work to hide some of the more egregious costuming mistakes well enough that visitors are going to be more worried about what might suddenly appear from the darkness rather than being shocked by an incomplete costume. When you arrive at Fletcher’s, which is a working farm during the rest of the year, you find a large field used as a parking lot. While the drive in is lit and there are lights leading to the ticket booth, it can be a little hard to spot those from the back of the parking lot. The front waiting area uses a call system to send appropriately sized groups into the haunt. While you wait, there’s a HUGE furnace putting out heat and costumed dancers on a stage above the crowd. Sometimes the wait can be a long one, especially on busy nights, so it’s best to dress appropriate for the whole evening. Also, good walking shoes, preferably closed-toe, are recommended. If you take the “watch your head” portion of the clown maze, it might also be a good idea to be prepared to crawl! Out on the trail, there’s also some additional entertainment delivered by actors when you arrive at one waiting area. Non-costumed staff are typically found at the front of the haunt, and are all helpful and friendly. The music pumping from the first holding area blasts through the night and over the parking lot. It tends to be rock and dance music, lending the whole place a bit of a party atmosphere. Inside there is a huge and amazing facade that not only hides the ending of the haunt but also serves as a stage for the costumed dancers and lends the whole waiting area a sort of abandoned house/old west theme. The party feel is great for standing around and socializing with your friends and some of the locals while you wait for your group to be called back for the haunt. Fletcher’s Farm is out in the middle of the countryside which is good because it can be a bit of a loud haunt. Banging metal, occasional chainsaws and power tools, and an air horn all deliver sudden blasts of startling sound to keep you jumping. Most of the effects at Fletcher’s are actor driven, but there are a few things in addition to those that stand out – strangely wobbly sections of floor in mazes (almost like walking over bodies), a divided maze inhabited by clowns, an astounding number of wrecked cars – all work to create an atmosphere of unease. Fletcher’s Farm is an old-school haunt with a variety of different scenes, but no overarching theme. Though there is some early front-loading of scares, Fletcher’s does a good job of slowly breaking up large groups so that actors can deliver scares to small, frightened groups of two to three. Many of the scares are straight-forward startles and jump scares interspersed with looming, weapon-wielding silent figures. Loud bangs, chainsaws and other loud noises can be expected. Fletcher’s Farm is a great way to spend an evening with friends. There’s a variety of things to do and the price is easily affordable – even for larger groups. 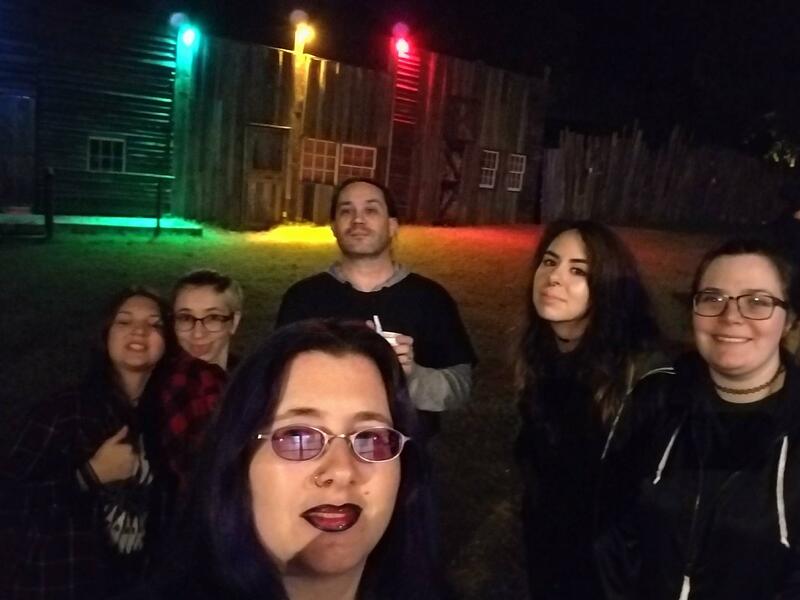 It took our group – admittedly display some adept work at the maze – around fifty-two minutes to journey from the bus-ride at the beginning, through the back of the haunt, up through the hayride, and out through the dark maze! 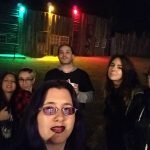 Fletcher’s may not be a huge, high-tech haunt, but the crew there do a great job of providing a lot of entertainment for an affordable cost. With their general admission price, it brings this haunt’s MPD (minutes of entertainment received per dollar spent) to a whopping 3.47! That is among the highest out of all the haunts that have been reviewed this season!